Wedding transportation is easy and fast when you work with DC Charter Bus Company. We’ve worked with hundreds of groups to arrange reliable transportation for engagement parties, bachelor and bachelorette parties, bridal showers, and the big day. No matter how small or big your group is, we’ve got a bus for you. Our reservation specialists are available 24/7 at 202-903-0059 to provide with a free, no-obligation quote. Pick up out-of-town guests in a private bus so they won’t have to face expensive airfare, missed flights, and traveling long distance by themselves. On the day of your wedding, we’ll be your personal chauffeur and shuttle guests to and from your venue. Your guests will ride in comfort with amenities like reclining seats, air conditioning, flat-screen TVs, and more. Don’t worry about time management and transportation on your big day. Rent a private minibus for you and your wedding party so you can spend candid moments together before your big moment. You’ll be able to drink, listen to music, and play games while your driver handles the rest. 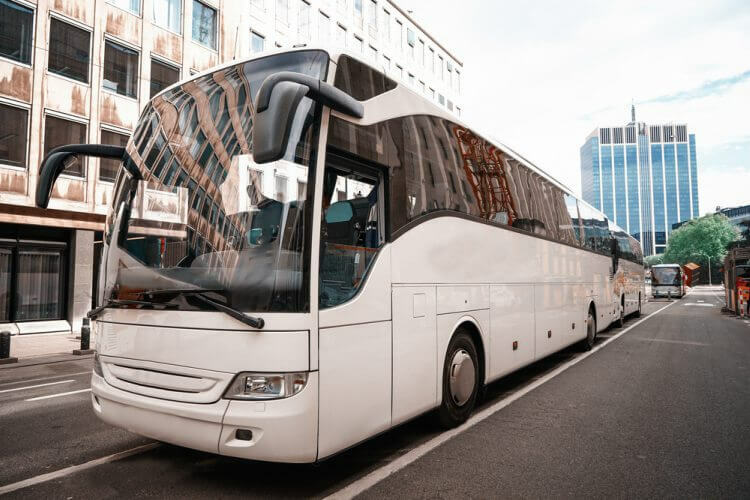 Partner with the Best Bus Rental Company in D.C.
Once you book with us, you know you’ll have reliable group transportation from start to finish. To get an idea of wedding shuttle pricing, we've developed an easy pricing guide as a reference. Our rental experts are available 24/7 to provide a personalized, in-depth quote, for your convenience. Call today at 202-903-0059 to start planning your trip.